In Agaro, Ethiopia, coffee farmers and processors are learning best practices, increasing incomes and paying it forward to their communities. In Ethiopia, coffee provides a savory opportunity to improve livelihoods, starting at the farm and continuing all the way to those who enjoy a brew of these unique beans. However, many pieces must fall into place in order to create a high-quality product that can provide premium prices for coffee-producing communities. 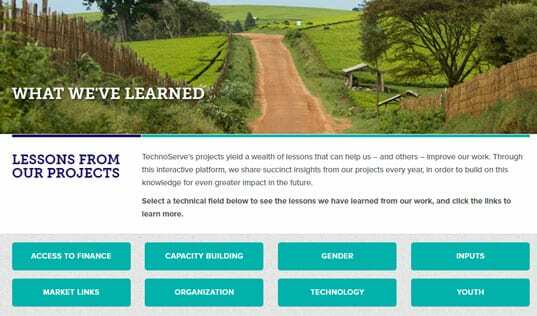 In Agaro, TechnoServe is partnering with coffee producers and processors to improve not only their farms but their entire communities through the creation of a sustainable, safe and prosperous supply chain for unwashed coffee. Located in Agaro, a rural town in western Ethiopia, Nasir Mohammed is a hulling station situated in a region previously known to produce some of the country’s lowest quality coffee. The hulling station is an essential part of coffee communities, serving as a centralized collection center where the parchment layer that separates the well-known bean from the exterior cherry fruit is removed. A successful hulling station sets farmers up to receive higher prices through quality processing and provides employment for local workers. However, management at Nasir Mohammed lacked the technical knowledge they needed for the station to provide safe and productive services for Agaro’s coffee economy. Removing the parchment layer leaves behind woody husks that can pile up easily when not disposed of properly. Beyond simply making a mess, these husks can contaminate local water sources and pose a serious safety threat. TechnoServe is working with hulling stations in Agaro, Ethiopia to transform coffee husks from a safety risk into a bumper crop for local coffee farmers. With their new beginning, the hulling station seized the opportunity to improve their operations. 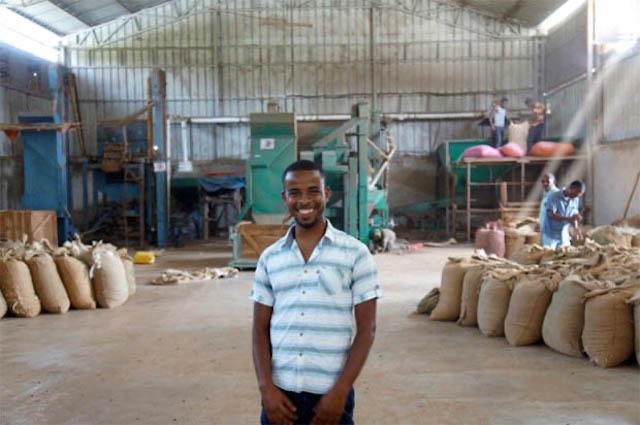 Nasir Mohammed partnered with TechnoServe’s Coffee Made Happy program – a collaboration between global coffee company Jacobs Douwe Egberts (JDE) and IDH (the Sustainable Trade Initiative) – that strives to develop a sustainable supply chain model for unwashed coffee. Through the program, Nasir Mohammed participated in a two-year training series on hulling station management. TechnoServe worked with the station’s staff to improve their processes around sustainability standards, occupational health and safety, environmental responsibility, economic transparency and bookkeeping. Project business advisors also implemented a strategic husk management model in which the hulling station delivers its husk waste to local farmers who can use it as mulch. 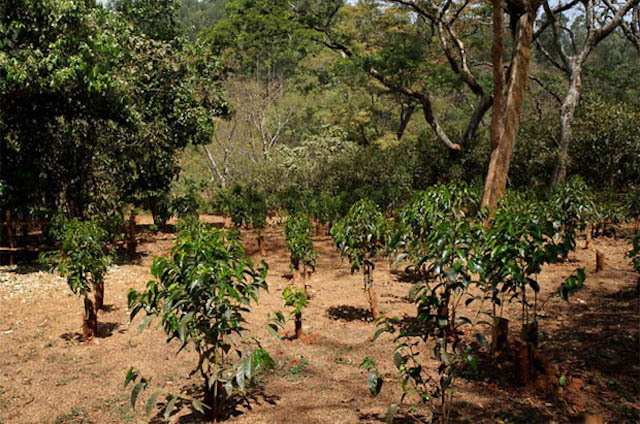 Now, farmers can take advantage of a byproduct that is otherwise considered waste, all the while eliminating risk for an essential business in their community’s coffee economy. 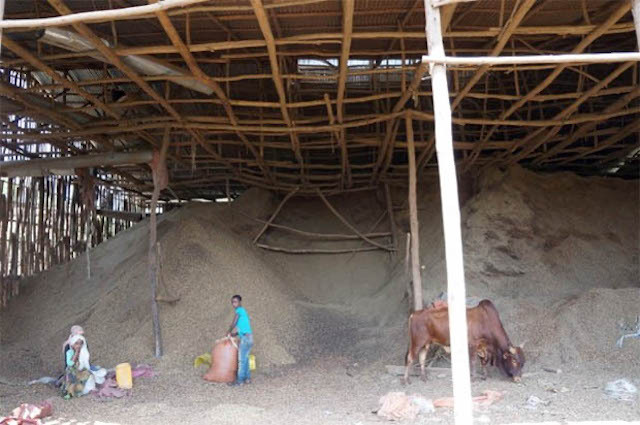 To date the project has implemented this win-win the husk management model at eight private hulling stations, supplying to three farmer cooperatives that have collectively distributed more than 1,000 metric tons of husk to member farmers. Distributing coffee husks to farmers reduces risk for hulling stations and boosts yields for farmers by conserving soil moisture, suppressing weeds and enhancing soil fertility. 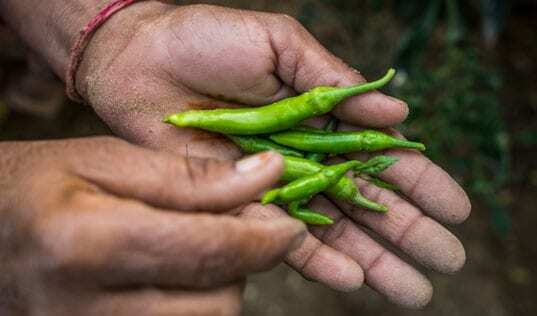 Misbahu is a member of the Hunda Oli cooperative, a farming association that was established under the Coffee Initiative, a different TechnoServe program in partnership with the Bill and Melinda Gates Foundation. The Coffee Initiative trained coffee farming households to improve their productivity through a curriculum of modules on agronomic best practices. Through the program, 139,609 farmers throughout the region received coffee agronomy training and saw their yields increase by an average of 38 percent as a result of their improved farming techniques. The points where these projects’ impacts intersect – where processing centers like Nasir Mohammed and cooperative members like Misbahu benefit from each other's motivation to improve their coffee businesses – is where holistic, lasting change becomes a reality for coffee producing communities. Thanks to the use of best practices on and off the farm, stakeholders across the sector increased their incomes through higher yields and higher quality processing, and were able to spread the impact beyond their businesses. For example, Hundi Oli Cooperative committed to investing a portion of their increased profits back into the community. 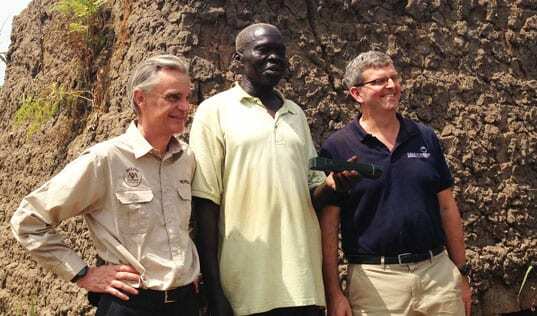 To date, they have installed water supply systems supplying 400 households. When community businesses have the knowledge they need to create quality products, they create prosperous livelihoods for more than themselves. For Agaro, better coffee is only the first of many benefits from a healthy coffee economy.